Whole Foods Market has everything. I don’t live very close to Whole Foods, but we took a special trip to one this week to buy a turkey for Thanksgiving. I was completely shocked by the variety of organic and specialty items they carry. Not to mention their seemingly endless variety of ready made foods and soups available. They had fresh organic produce galore. Their seafood looked impeccable. Everything you could possibly want, even organic milk, cheese, yogurt! Gluten-free items. Tons of canned food, organic and BPA free. I got organic sweet potato and pumpkin pie mixes in the can. We also bought a free-range turkey for $30, it was a little pricey but none of the other grocery stores had any. I wonder if this will be the way of the future, hopefully organic foods becomes more prevalent; I’ve noticed Walmart, Target, and Publix offer more variety than they have in the past and that is great, but they have got nothing on Whole Foods. 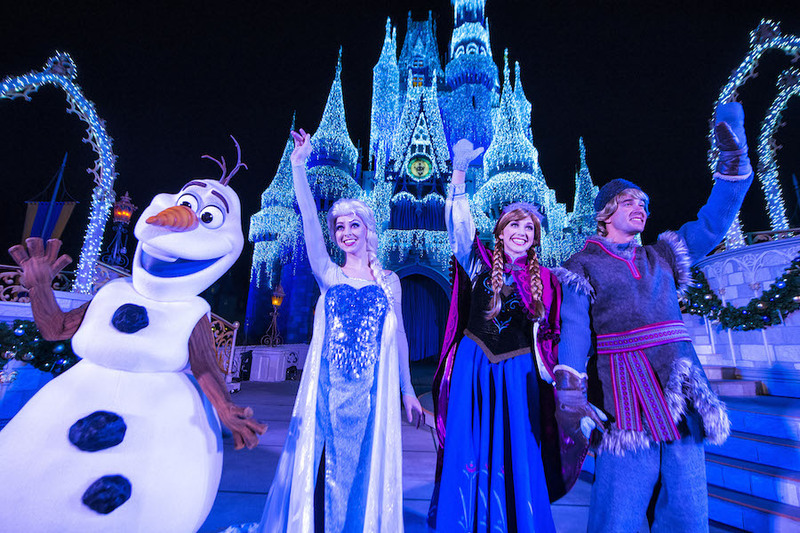 I’m looking forward to it, I haven’t been to a MVMCP yet and the stage shows for any event are always so crowded. This should be good. 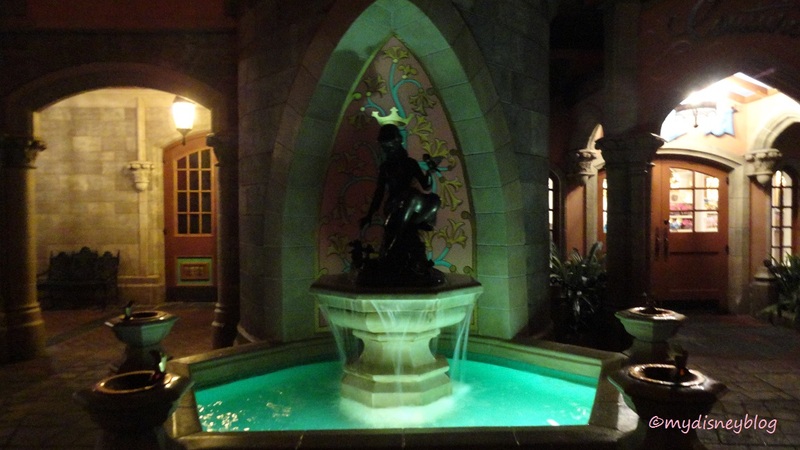 This fountain is located behind Cinderella’s Castle. It is quite pretty, I don’t think my photo did it justice, but it did capture the glow of the crown. I love pink and gold together, they are certainly the right choice of colors for a princess. In the photo you can see the crown on the mural behind the statue. I read that the Disney imagineers designed it so that when a child looks up at the statue, they will see the crown atop the head of the princess. And when people stop to drink from the fountain, they are bowing to the princess. Something to see next time you visit the Magic Kingdom, stop and give a bow or curtsy to Cinderella. I ended up filling up my Disney Store shopping cart again today and buying some items. I was going to order some things yesterday and ended up getting cold feet. But I went back and ordered some stuff and I used the 25% off code DISNEYPAL and also got free shipping for over $75 order. Between both the free shipping and the coupon code, I saved about $47. We’ve been wanting this for such a long time. We see it every year and always put off getting it. I always hope it’s going to be on sale after Christmas. I asked my husband if we should get it or wait until after Christmas, he said to get it now so we can use it this year. It’s really cute. And a set of these Winnie the Pooh Tsum Tsums. These will be the first ones I have collected. These holiday Tsum Tsums are adorable, but I didn’t see them online in the shopping area. I might end up getting these. They would make an adorable Christmas display. 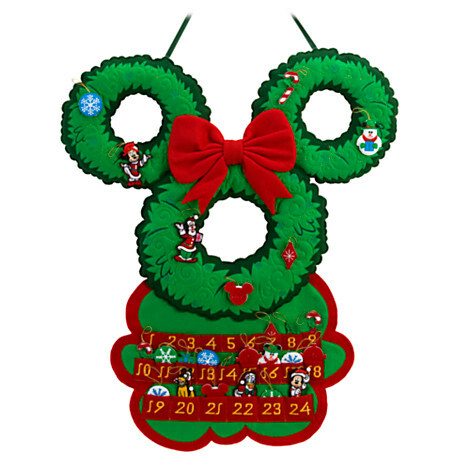 It seems I always end up buying something when I get Disney Store emails about sales…even when I try hard to resist! Merry (early) Christmas to me. Well, I almost bought some stuff yesterday online and then got cold feet. 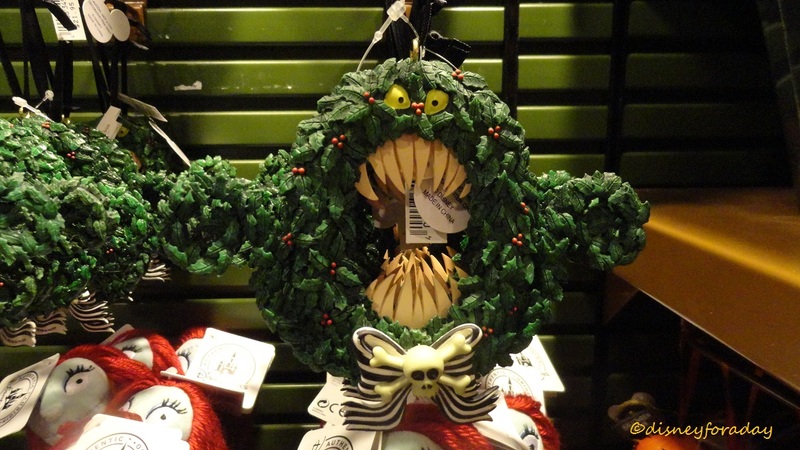 I had a few items for a couple friends, that ornament I wanted – the Hallowreath guy from Nightmare Before Christmas, and some Christmas plates. There is still time until tomorrow, that is unless they sell out of the items I wanted. 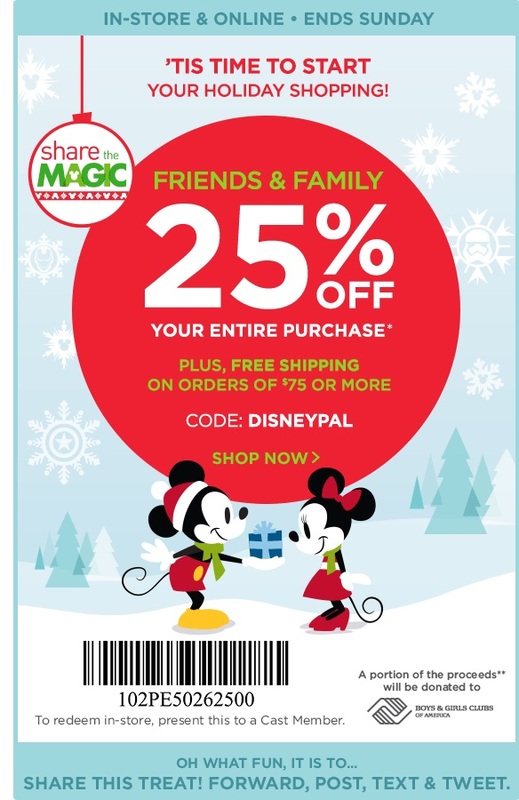 Thought maybe you guys and gals might like to check out the online Disney store, seems like a good deal 25% off and free shipping on orders over $75.